The Jordan XX9 Low on-feet again. 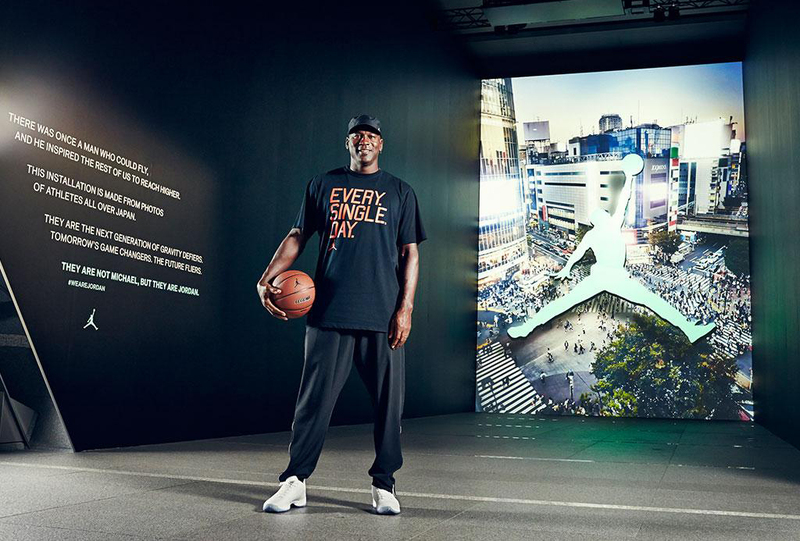 Michael Jordan's tour of China has concluded, and the man behind Jordan Brand is now out in Japan celebrating the 30th anniversary of his monumental sneaker line. In typical MJ fashion, he's shown up there with a pair of exclusive sneakers on-feet. In the above photo he's got on what appears to be the same pair of Air Jordan XX9 Lows seen here at a summer camp appearance, along with one of the more reasonable pairs of pants that he's ever worn. Sole Collector will provide updates on what Jordan Brand and His Airness are up to in Japan. Readers in the area can register for Jordan Brand's 30th anniversary events in Japan here. 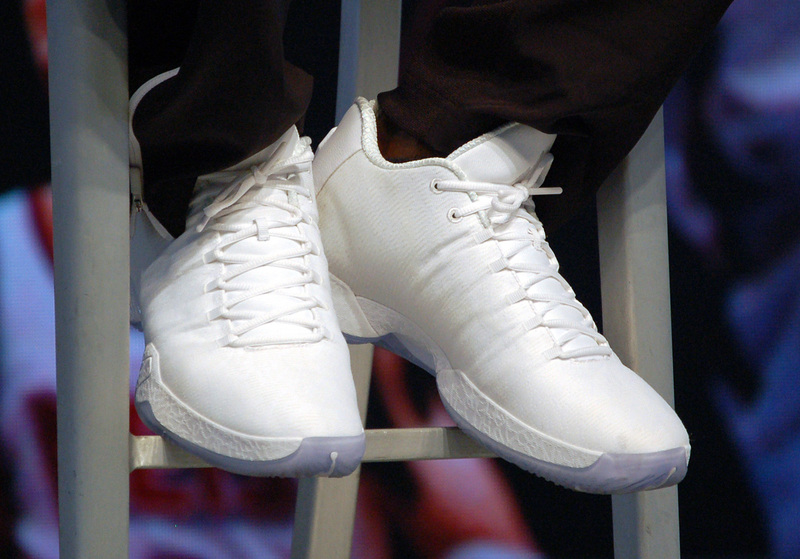 UPDATE 10/16: A closer look at Michael Jordan's white/ice Air Jordan XX9 Low.